Hey, BRAVA Marketing masters: welcome to the coming of Spring (sort of), and with every shedding of the ice, snow, sleet and flakes, we get the rain, blooms, and ragweed. Which is why many of us long for a time to balance all of that out and play some 18 holes at our favorite country club. Except for one thing: we need the best BRAVA Marketing products out there. Plain and simple. After all, this is the sport of golf. And golf means caddies, clubs, balls, tees, and other things you’ll need to make sure you’re good on your game. And believe it or not, you’ll have a wealth of options to choose from within those three product types. Yes, the clubs are a must. And you do have to wear right kind of clothes. But nothing beats having these three. 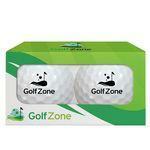 For any professional golfer, they’re a must. Golf Umbrellas — Surprisingly has nothing to do with the game, but think about it: this product makes a whole lot of difference for several reasons you’ll find right here. Golf Kits — You can’t deny that just about any professional golfer needs this, and here’s why. Divot Repair Tools — We’re willing to bet a lot of you don’t even know what these are (and you probably enjoy playing golf). They’re essential for a lot of reasons, such as…. And, of course, you need a whole lot more. These, however, are ones you need specifically branded in whatever you like. They’re crucial to the game. Yes, even the umbrella serves the best kind of purpose. That’s right: right here. You can peruse all the designs as well for any of our umbrellas, golf kits, and repair tools. BRAVA Marketing has them all. Everything you need to be the professional we know you are. Seriously, what’s the one thing that matters the most when it comes to golf? It’s not the knickers. It’s not the balls. It’s not whether or not you have a caddy. Who cares about the kind of tees you have, or a towel, or even the polo shirt you’re wearing. Really, none of that matters if you don’t have the one essential in your repertoire: the golf club. Heck, you can’t actually play golf without one! 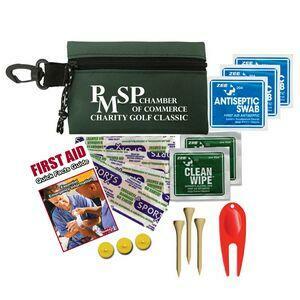 And even better than just any golf club is a promotional golf club! The Promotional Golf Club Sells You and the Game! But why not go the extra mile? 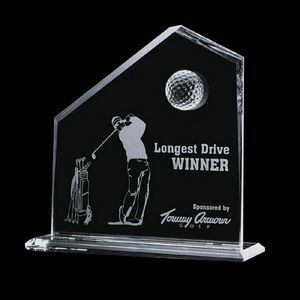 You might’ve been lucky and got that promotional golf club highlighting a big accomplishment in one of the big opens or something, and that’s fine. Shows you’re a professional. Shows you’re at the top of your game. I mean everything. Not just the clubs. Not just the big dog or the trusty putter. Everything you’ve got in your game gets your name on it. You have to understand that while golf’s just a game like any other, it’s also a professional one. And the best part about golf is YOU are your own team. You’re the MVP. Why not brand yourself the way professional teams do? Makes sense. Custom golf kits will have everything you need, and the best part about what we offer is that you can customize them with promotional print designs. Your logo. It can be on everything you have. You are, after all, a professional. Just check out what we have to offer right here. And then contact us. Don’t hesitate: the weather’s getting warmer, and the grass is definitely getting greener. Ah, yes: the golf outing. One of the tried-and-true methods of schmoozing, marketing, networking, and just plain having fun with a 9-iron. It’s easy, comforting, out in the open, and best of all — as a business professional, you’re at your best in developing new business relationships, partnerships, and accounts for your company. What does this have to do with custom branded golf balls, though? Typically, you offer business cards as a way to network and let prospects know who you are, know what your business is, and know how to reach you. The bonus of stocking up on some sweet custom branded golf balls is that those promotional items in a golf kit practically serve as your business cards. Print your logo, your contact info — anything you want — on those golf balls and hand them out to prospects as a way to remember who you are. The funny thing is you might actually get a better deal out of getting custom branded golf balls in bulk over shelling out a ton of money over custom-printed business cards from a high-end stationary retailer. You make a tremendous impression in a number of ways — one, you’re upscale, two, you play golf, three, you’re upscale because you play golf! First impressions go a long way, plus it’s creative. Forget the tired — yet true — tradition of handing out snazzy business cards. Get innovative, and make a statement. Make sure your prospects not only remember the outing, but remember that you made the outing memorable. Want to know more about this from BRAVA Marketing? All you need to do is contact us. You can also peruse the many designs we have right here. And remember: tee-off is in a couple hours. Be ready with your knickers.